This entry was posted on July 14, 2010 at 8:00 AM and is filed under Modern Christian Mythology. You can subscribe via RSS 2.0 feed to this post's comments. 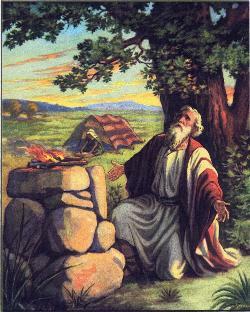 The information about Modern Christian Mythology: Long Lives of the Patriarchs has its value to educate the readers and to be near to the GOD. If your grammar, mechanics, spelling, usage, and general lack of understanding of the basic paragraph are any indication of your level of intellectual integrity you need to drop your argument and go back to seventh grade! You forgot your comma and leading preposition in your prepositional phrase. Otherwise, I’ll have to mark you down for a run on sentence. Do you have anything to say about the article?